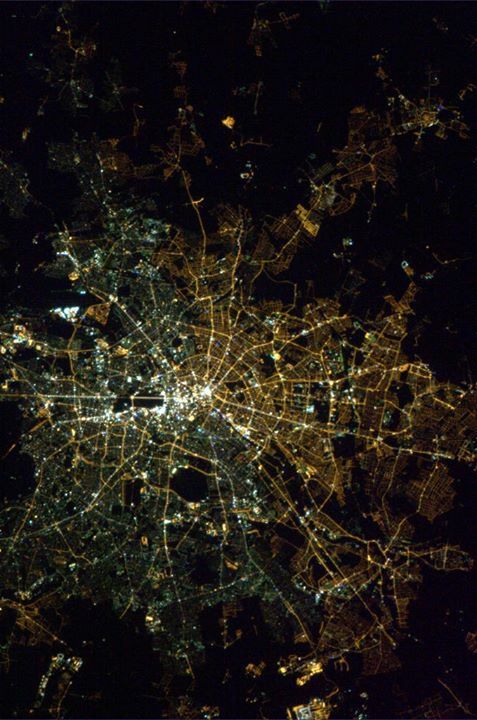 Lighting reveals the lingering divisions between East and West Berlin, with traces of the wall still visible in this 2013 photo from the International Space Station. Photo by Astronaut Col. Chris Hadfield, public domain. Germany, and much of the world, this weekend marked the 25th anniversary of the fall of the Berlin Wall. It remains the singular event to symbolize the end of the Cold War. It marked the end of the Iron Curtain between Eastern and Western Europe, and the rise of the new global economic and political orders that tore apart the former USSR and set the stage for the 21st Century world. Ours is today a chaotic, fractious, polarized world. We have not experienced anything like the “end of history” predicted then so triumphantly by some in the West. For some global citizens life has never been better. For most, life is a struggle, and the notion of thriving a dream. Rising inequality stalks even the richest of Western nations. The world’s sixth mass extinction of species, driven by humanity, is well underway. Climate change, and the exhaustion of our essential natural resources, loom over humanity’s future. But, as Jonathan Manthorpe points out in our pages this week (intro below), the “end” is nowhere nigh — the Fat Lady has not sung. And there is no better symbol than Berlin’s fallen wall, of the end of the grim and terrifying Cold War, of long years when children grew up in the shadow of nuclear apocalypse. 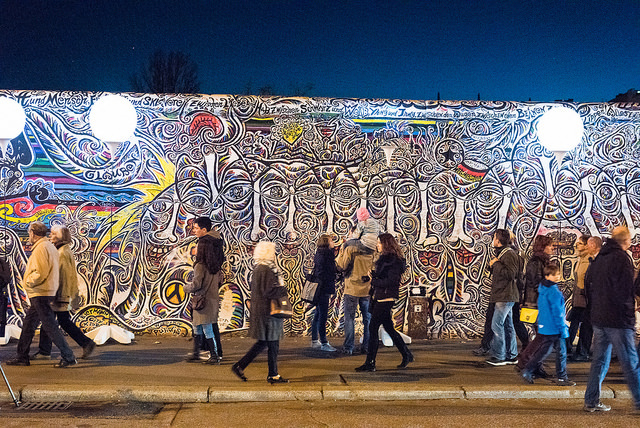 That people could topple the Berlin Wall is proof of our power, and offers hope for the future. The city of Berlin was packed this weekend with both revellers and sober pundits. The Berlin State Orchestra played Beethoven’s Ode to Joy; a line of white balloons along the route of the wall were released into the sky; British performer Peter Gabriel sang a version of David Bowie’s Heroes; thousands attended a “citizen’s party” at the Brandenburg Gate. Amid division there is hope, and vice versa. 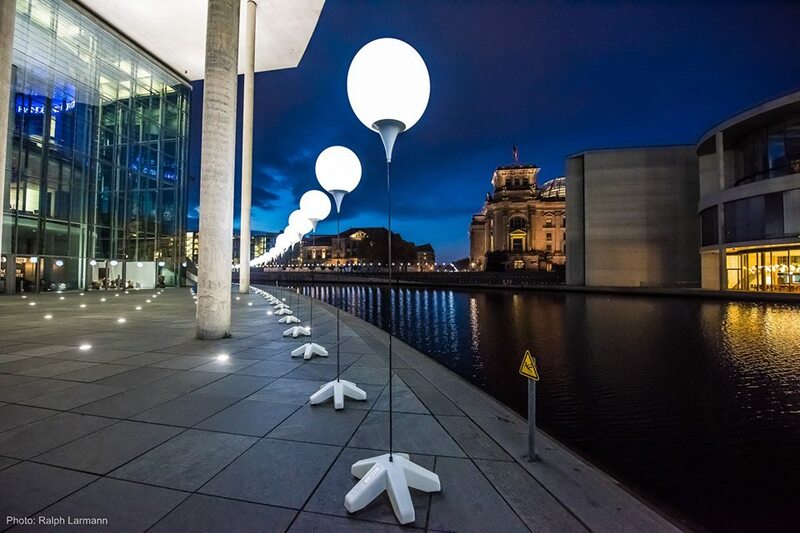 The “Lichtgrenze,” or Border of Light, aims to evoke the divisions of Berlin’s past and illuminate the changes in the city and the world since 1989. East Germany ceased to exist following the 1989 revolution and the fall of the Berlin Wall. But did the former communist country help shape today’s Germany? The answer is yes, and Chancellor Merkel is a big reason why. The West will assimilate the East and transform the fruits of its revolution into profits for its companies. Nothing will remain of the German Democratic Republic (GDR), and its citizens will have to submit to a foreign lifestyle. The East is taken over, an event the revolutionaries welcomed with open arms — but it’s a hostile takeover, an obliteration and eradication of what the eastern part of Germany once was. West Germany will simply expand, and that will be that. BERLIN — These days, Berlin is like a giant that is stretching its limbs and trying to find a new balance. For the first two decades after the fall of the Berlin Wall in 1989, the giant moved only its right foot and arm. 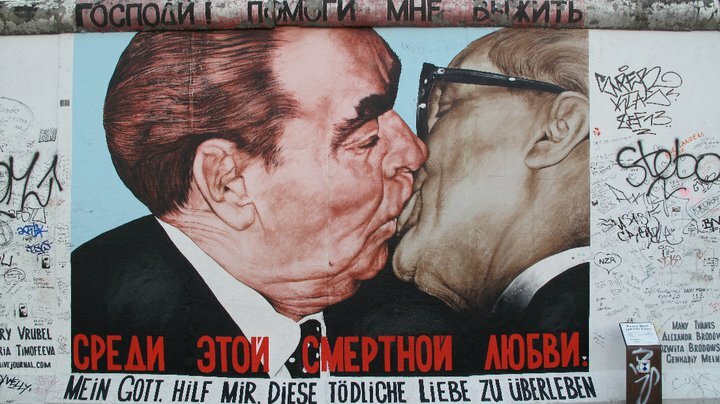 No longer divided by a wall, Berlin was divided in other ways. Everything that was new and exciting was happening in the East. Those first years were the time of sky-high cranes, the overnight birth of entire new urban districts where vast empty spaces had sat for years, when people seemed to prefer going to construction sites instead of the theater, opera or museums. When I’d get on the subway and head east from Alexanderplatz in the center to the Ostbahnhof station, even at 2 a.m. there wouldn’t be a single empty seat. I’d find myself squeezed in amid a poor but cheerful bohemian crowd on its way from one club to the next — since the clubs, too, had all established themselves in the eastern half of the city. This entry was posted in Current Affairs, Gyroscope.